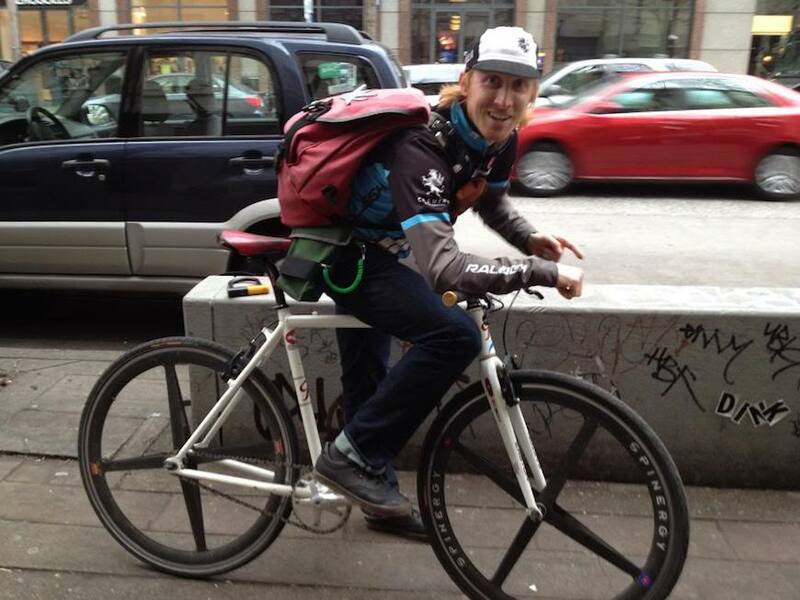 Curious About The Life Of A Bike Messenger? It’s as romantic as it is dirty. It’s more passion than a paycheck. It’s a life behind a handlebar rather than a desk. It’s the life of a bike messenger. Ask just about any of them and they’ll tell you, their worst day on a bike will always be better than your best day behind a desk. We get it. The simplicity of their bikes and the freedom they enjoy have been the inspiration behind numerous bikes here at Raleigh. 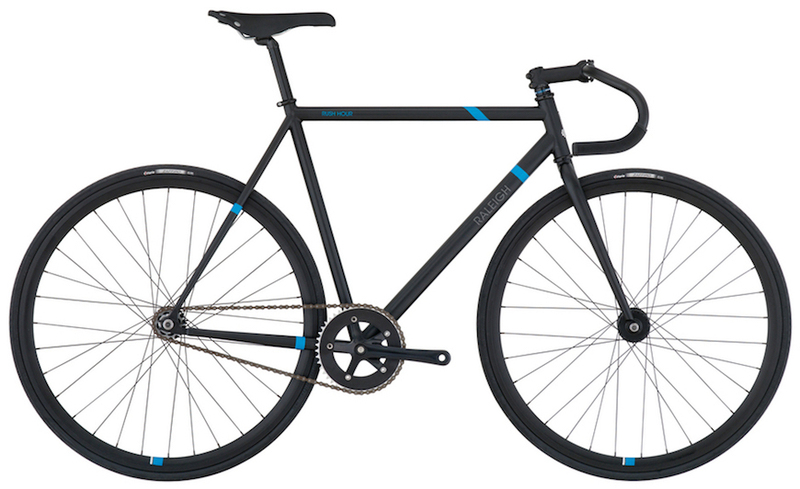 The Rush Hour, our steel track bike, is perhaps the best example of our affinity for this culture. As with any fantasy, there’s this little thing known as “reality” that a person should consider before making drastic life changes like quitting a job and taking a pay cut to schlep packages and other goods around town by bike. So we enlisted Craig Etheridge, two-time Bike Messenger World Champion and Raleigh CX rider, to explain some pros and cons about his chosen career. Seriously dirty. Grit from the roads, dust, sleet, rain and car exhaust will become part of your daily uniform. It’s worth ponying up for good technical outerwear to keep you warm and dry, especially in cities with inclement weather, and especially for your feet. Cold, wet feet translate into a miserable bike messenger. First they said the fax machine would kill the need for bike messengers. Then they predicted email and scanning documents would deal the death knell. Guess what? 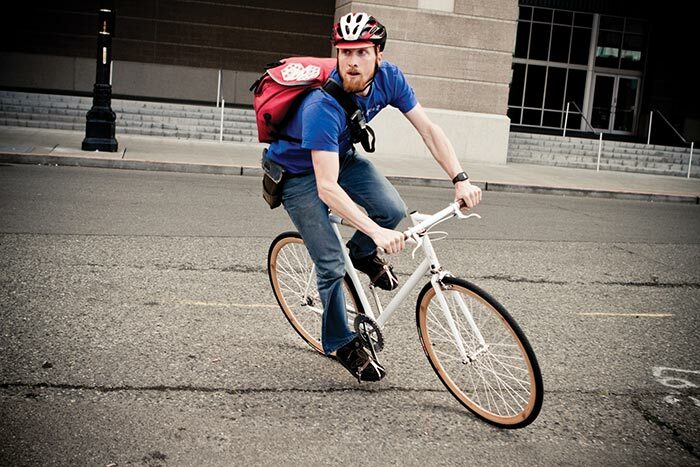 Bike messengers are still here because there is a unique need for speedy, reliable deliveries in metropolitan areas. Keep clients happy. There’s a lot of competition out there, so work hard and be professional. It feels great when it pays off over time. Be aware. Rely on fast reactions at first, and as you become more familiar with your route or city, you can replace a lot of those reactions with predictions. Don’t lose the psych. It’s typical for any rider (pros included) to get burned out on being on the bike day after day. Remember that you’re one of the lucky few who can earn a paycheck while cruising through town on two wheels. Self-preservation is the name of the game. No matter how well you play, make smart decisions. As a new rider, it’s easy to want to prove yourself and show your guts, but take the time to acquire the knowhow and you’ll thank yourself later. Nothing is worth your safety. Enjoy the freedom. You’re in a unique position where you are technically bound by the route and schedule of the job, but free to go about the task as you like. It's not that astounding, but the amount of freedom you have in your day is a pretty unique thing. Still interested? Check out the Rush Hour here.